Put Diesel in your petrol car? Put Petrol in your diesel car? 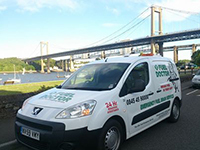 We have qualified fuel drain technicians to drain the wrong fuel and get you moving again. When you have been out and about in the Dewsbury or Wakefield area and have had the misfortune to put the wrong fuel in your car then seriously, don't panic. If you can try to not turn the ignition on then this will save the petrol or diesel from going through to the engine, but if you have, it's fine, we can drain it from the engine too. 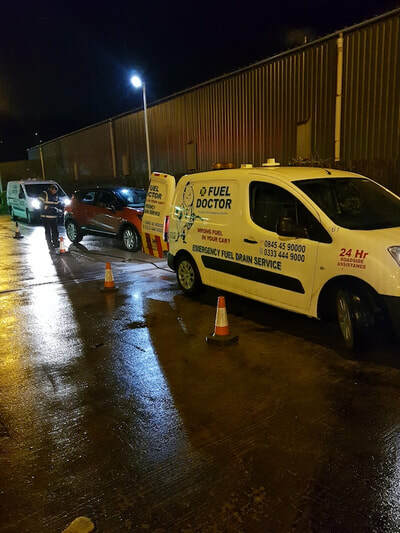 We aim to be with you throughout West Yorkshire within the hour and get you back on the road again within 20 minutes of our arrival and with fuel drains from £130 and with cards taken by the roadside, we are the cheapest and largest independent fuel drain company in Dewsbury and Wakefield. 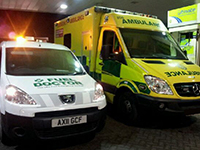 Call our national call centre on 0333 444 9000 and we will be with you in an hour. The best part is, we are mobile and take cards by the roadside. 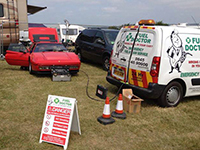 Fuel Doctor was formed to offer a more efficient, convenient and cost effective solution to motorists. 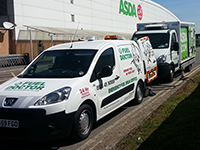 Fuel Doctor offers 24 hour roadside assistance. Through our innovative equipment we can perform a fuel drain on site. Below are some real recent Dewsbury wrong fuel recoveries Fuel Doctor has attended.